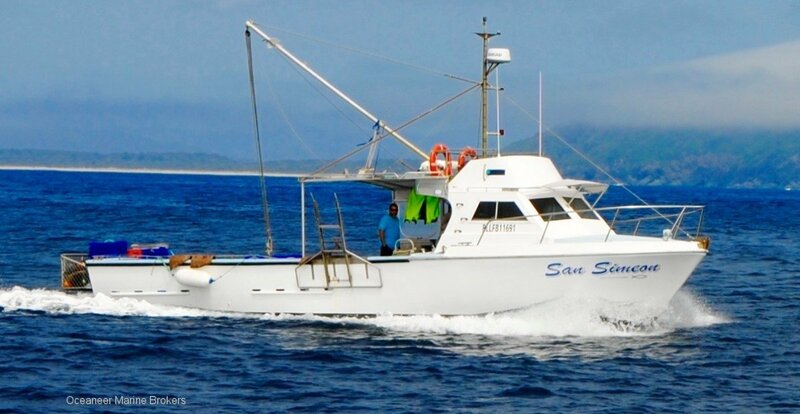 Randell 45' Fishing Vessel in current AMSA Survey. Extensive refit conducted in 2017 including new deck, new paint, new windows, new interior. Powered by single Doosan 350HP engine with 8600 hours from new. Cruise speed 11.5 knots. Sprint speed 15 knots. Vessel built for lobster fishing and holds 500kg of live lobster in live tanks. Koden Sounder, Simrad Plotter, Simrad radar. Please contact Oceaneer Marine Brokers for more information or to book in an inspection. Call (08) 9243 6373 or email sales@oceaneermarine. Com. Au. electronicsKoden Echo Sounder and Simrad GPS/Plotter and Radar, VHF radio.